The steady-eyed attending surgeon managed to remain calm while he guided me through the tricky orthopedic procedure, despite the urgency of the situation. The purplish black bruising on the leg and my view of the X-ray gave me the information I needed to start. The attending surgeon walked around the room evaluating my every move and giving me directions. Another player who looked a lot like Morpheus from the Matrix assisted me in putting the boy’s leg back together. I had never been in an operating room before, let alone performed surgery. My assistant, the one who looked like Morpheus, picked up the scalpel and handed it to me. Was he supposed to be handing me the scalpel? I thought scalpels are sharp, was I going to cut my thumb off? I told myself, you CAN do this. The artificial intelligence and user interface guided me through a perfect incision. I completed the rest of the surgery, including dissection, and screwing the hardware in place, stabilizing the broken leg successfully. If you haven’t figured it out, I was immersed in a virtual environment. Dr. Bauman was the assisting technician in the VR surgery, and I was the (virtual) surgeon in training or resident. We were testing a new simulation he’s been working on with Arch Virtual, a company that creates a variety of virtual reality simulations. Arch Virtual’s Immerse Creator platform enables users to create environments reminisce of the Oasis of Ernest Cline’s novel and now movie, Ready Player One. 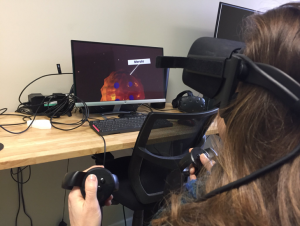 Much like the simulated immersive school in the book, and now the movie, today’s virtual reality platforms can deliver a digital learning environment that is no longer just a thing of science fiction. Jon Brouchoud, CEO of Arch Virtual, shared his thoughts about how virtual reality is reaching more people. 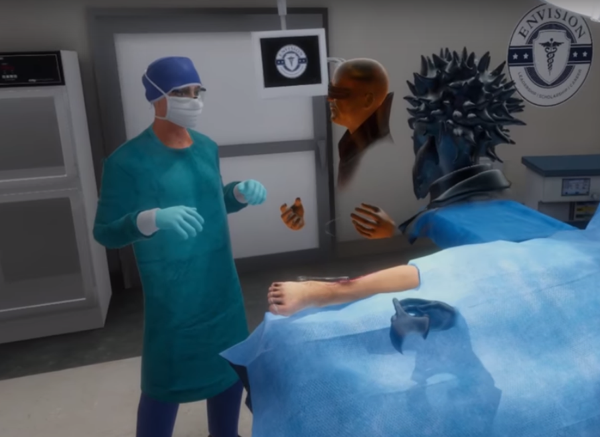 “While “Ready Player One” is set in 2045, anyone who has the opportunity to try even the current generation of VR headsets will see that multi-user virtual reality is already taking learning to a whole new level, enabling students to access immersive learning scenarios or even meet with healthcare experts in other parts of the world. Back in reality at Arch Virtual headquarters, it was time to take off the Oculus Rift headset and transition back to the real world. As I write this a month later I still remember every step in the virtual surgery. 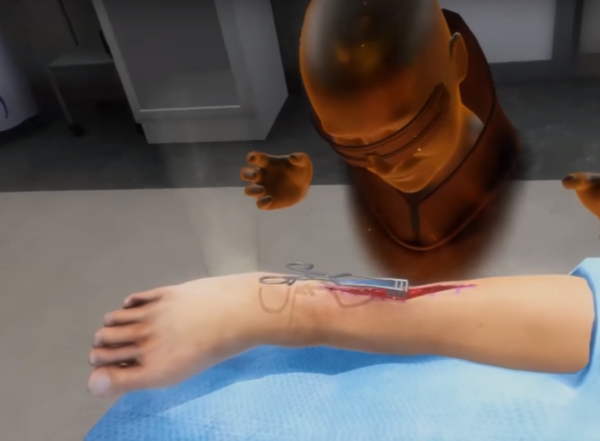 It felt real enough to make me pause at the thought of performing an incision and wonder if I’d be able to handle looking at virtual blood. 1. Cline, E. (2018). Ready player one. Broadway Books.